People involved or interested in the built environment sector in Wales, issues of equality and diversity, or education and training, are being invited to a special conference in Cardiff next month. 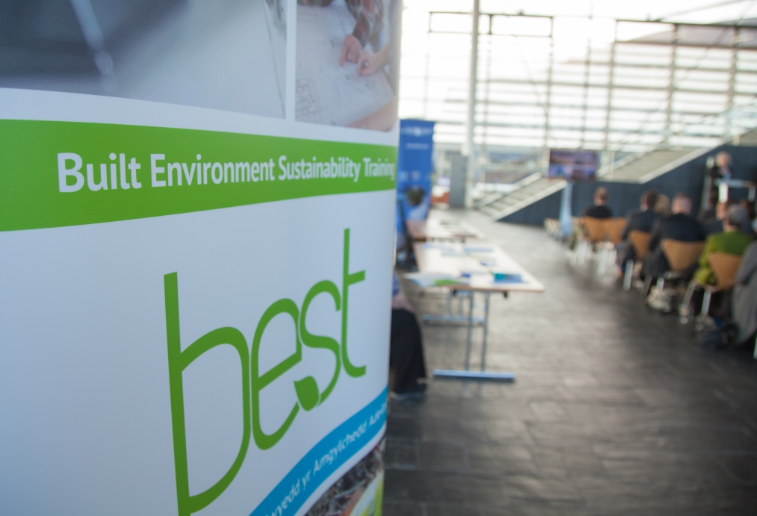 The free half-day event, Growing the BEST Sustainable Talent for Wales, is organised by Built Environment Sustainability Training (BEST), which is based in the Welsh School of Architecture at Cardiff University, and aims to put Wales at the forefront of sustainability expertise. Supported by the European Social Fund, through the Welsh Government, BEST offers fully subsidised courses to people who live or work in one of Wales’ Convergence areas. Can good Equality & Diversity practice benefit companies in the Welsh built environment sector? How can we enable/empower young people to achieve our future built environment sustainability goals? The conference, on July 2nd, starts with coffee on arrival and ends with an informal buffet lunch in the striking surroundings of the Wales Millennium Centre in Cardiff Bay. “The Welsh energy and built environment sectors account for around 15% of the employed workforce in Wales, and the ‘green’ economy here is significant and growing,” said Professor Tweed. “Commercial opportunities and increasing competition are driving the need for companies to develop their sustainability capabilities, particularly in areas where Wales already has a commercial advantage, such as in low carbon energy generation and environmental management of waste and water. “However, research has highlighted the lack of skills and strategic direction for training in the sector to enable these visions for industry growth, environmental and social sustainability to be met, and the BEST programme was developed to make direct improvements in this area.